Carrying bowls brimming with freshly harvested carrots, bright green spinach, radishes and tomatoes, it’s hard to believe Mirzadi owns no farmland and had no previous experience growing her own food. Mirzadi lives in Badin, Pakistan with her ailing husband and two of her sons. The local economy relies heavily on agriculture, but farmers in the region have struggled to cultivate plentiful harvests in recent years. Flooding has led to poor soil quality and the cost of water and seeds have soared. To get food for her family, Mirzadi depended on what her sons earned as labourers. She spent their wages traveling to markets and buying produce for cooking. This was costly and difficult to afford on very little income, but Mirzadi could think of no alternative. She feared that in the days to come, her family would go to bed hungry. 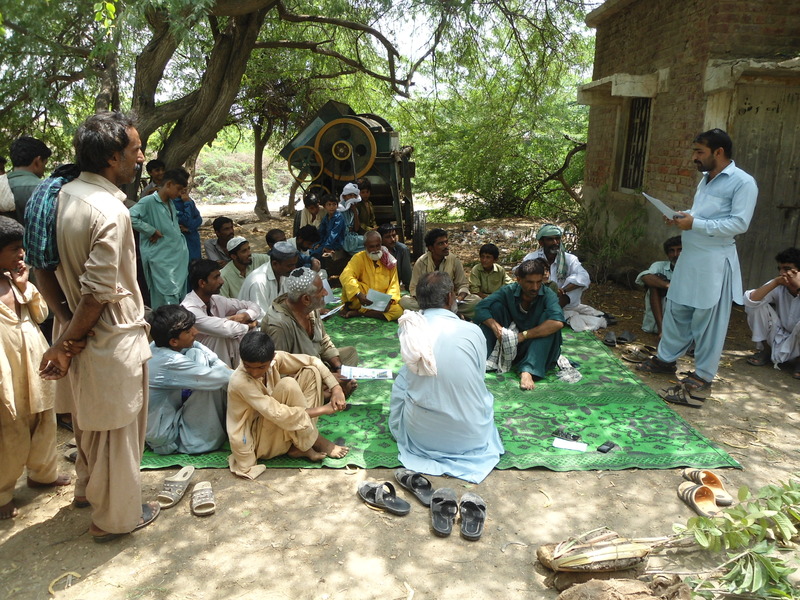 PWS&D is responding to food insecurity in Badin by supporting local partners as they teach sustainable agricultural practices to 650 rural families. This training helps farmers improve soil fertility, increase yields and build resilience to natural disasters. Participants are also trained in kitchen gardening and maintaining a balanced diet. Since the program came to her community, Mirzadi has been one of the most active participants. She is glad of everything she’s learned, especially the health benefits of consuming fresh, chemical-free vegetables from kitchen gardens. At the end of her training, Mirzadi prepared a small patch of land behind her house to plant the seeds she received through the program. When the seeds transformed into fresh vegetables, her own backyard became a source of nourishment for her family. Mirzadi had never felt so proud. “My family is regularly consuming nutritious food from my kitchen,” she reports. Not only is her family’s nutrition improving, Mirzadi has had fewer expenses since starting her garden. The money she saves by growing food at home can be used to meet other needs, like medical care for her husband. For Mirzadi, her little garden is more than a source of food—it’s a source of joy and pride, knowing she can nourish and provide for her family for years to come. Adapted from a story on the Community World Service Asia website.